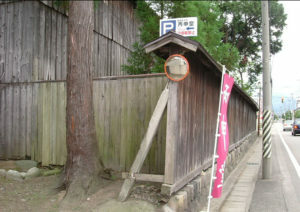 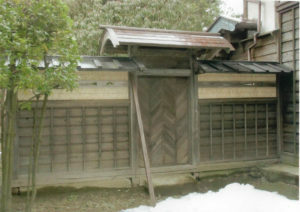 This is an earthen storehouse located inside the Kazama Family Former Villa. 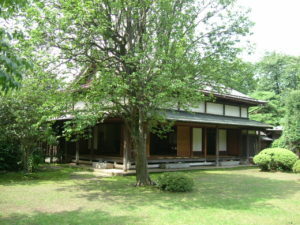 Originally located in the main building separated to the south by a road, this storehouse has been moved to the south-eastern corner of the villa. 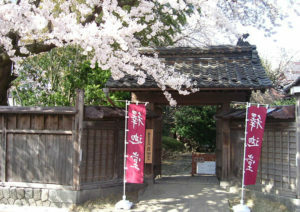 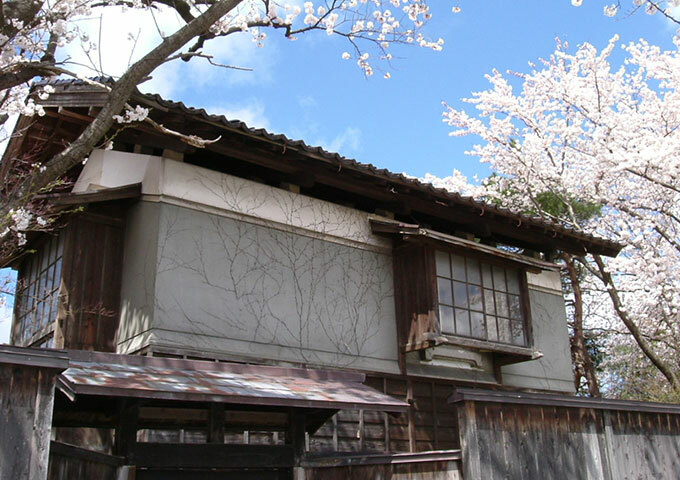 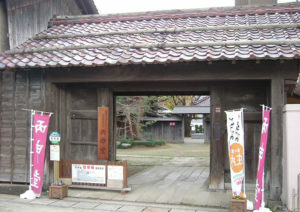 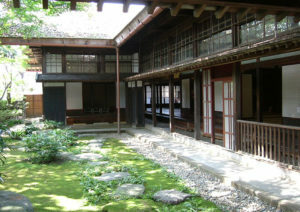 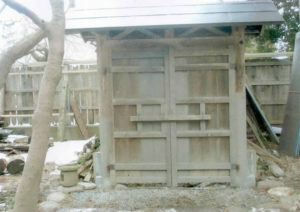 The small two-story earthen building with Okiya-style roof was constructed with high-quality materials and a thick pillar supporting the first and second floors making it very durable. 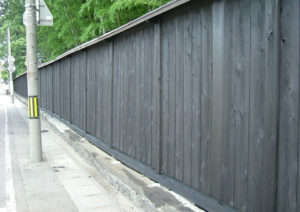 The interior wood has been lacquered with specially-crafted metal fittings attached.